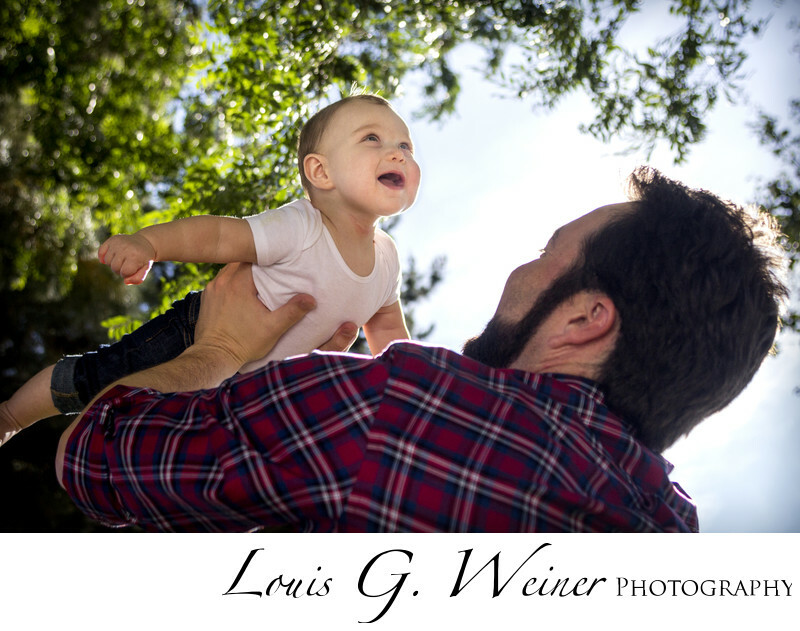 Father and his son, playing airplane and enjoying each others company sharing love together. Family Life style Photography is one of my favorite types of photography, simple photographs of people being real in their real lives. People spending time together in their special places has personal meaning, this is the local park next to this couples home. A park can be a great background for your family photographs, one of my favorite locations is a location that has meaning to my client. Life style Photography seems very personal to me, capturing images of people spending real time together is a true pleasure for me. Letting clients be together with no or minimal direction allows them to be natural. I am happy to give direction if needed, generally my clients relax and feel very comfortable in front of the camera after a short time and this truly helps capture beautiful portraits. It all starts with finding a wonderful spot with great light and if needed adding more light and then letting the magic happen.